These days, thankfully not all progress on moving America beyond oil and improving our nation’s transportation system rely on the whims of the House of Representatives. I saw that today as we delivered more than 15,000 comments from Americans representing every state plus Washington, DC, Puerto Rico, and Guam voicing their support for smart, common sense guidelines on how the Federal Transit Administration (FTA) selects which public transportation projects receive funding. Gas prices are rising and a well-planned transit systems not only provide a way for us to get to work, but they also make it more likely that we’ll utilize them (or walking and biking) for the rest of our daily and weekly errands – from grabbing dinner to going to the doctor – instead of getting into a car and emptying our wallets at the pump. FTA’s proposed guideline changes will make it even easier to account for how well a transit system can reduce the need to use cars. The FTA proposed standard will also support consideration of how much affordable housing is near local public transit systems. We support this step, as well as how broadening the environmental benefits new and expanded transit can bring in the form of clean air, and reducing oil consumption and carbon pollution. We are also urging FTA to look at high gas prices when evaluating projects because a project may look very different when a gallon of gas is $3.50 a gallon than when it’s at $4 or$ 5 per gallon and demand and need for transit increases. According to the American Public Transportation Association, households that are likely to use public transportation on a given day save over $8,400 every year. I use public transportation to commute 30+ miles, each way, to work every day. It saves time, gas, wear on my car, the quality of air, and it relieves traffic congestion in Boston, and is just downright relaxing instead of rush hour traffic. One of the most important changes we can make to support our ‘Energy Future’ and Security is to change the way we transport our people! Not only will this ease traffic congestion but it will create jobs AND reduce pollution. What part of public transit across our nation does NOT make sense? Let’s be leaders of the world instead of victims of Big Oil. I commute by bicycle, and am in favor of more public transit and bicycle friendly venues. I am writing this as the Port Authority in Pittsburgh has seen fit to reduce bus service to my community. It would be unbelievable (except that it is true) that sufficient public transportation would be denied to those who rely on it for getting to work, doctor’s appointments – and yes, even entertainment! We will all benefit from cleaner air and a healthier climate and the jobs this program will create! It is the right thing to do! Vastly improved public transportation is an essential component of any program toward green energy. It is also essential toward any program toward reviving the U.S. economy. We simply need more and better public transport if we are going to decrease our dependence on oil, clean up our environment and live in healthier communities. In addition we need to make the necessary changes to promote and provide safe biking and walking. We therefore support the FTA proposal to update the New Starts program. We are glad the need for affordable housing near such transport is recognized as well. We had shout-outs for more rail and transportation choices from coast to coast! As the FTA makes progress on getting more transit to more Americans, the House of Representatives has just five days to act on passing a new transportation policy for America or put millions of Americans who are building and fixing our transportation system out of work. The House cannot choose to yet again dig in its heels on trying to move what has been panned as the worst transportation bill ever, HR 7. They must pass what is now HR 14, the bipartisan bill that emerged from the Senate, and get our transportation system moving in a new direction. The FTA is acting and we will have more and better transportation choices – that’s good news. Ann Mesnikoff is the director of the Sierra Club Green Transportation Campaign. Representative John Lewis, D- Atlanta, leaned into the podium and eyed the crowd. His voice filled the hall as he reminded the audience of teamsters, teachers, steel workers and environmentalists that he had been arrested forty times while he fought for civil rights in the sixties. With a League of Conservation Voters rating of 100% under his belt 1, he righteously threw out the challenge. “You must stand up, you must organize, you must speak up and speak out," he said. What a rousing beginning for the Good Jobs Green Jobs Conference, two jam packed days of exhilarating, depressing, inspiring, overwhelming workshops, discussions, receptions, lunches, dinners, and learning. the Teamsters are big on recycling and a sustainable supply chain. The Sierra Club sent seven Florida volunteers to Atlanta for the 5th Green Jobs Good Jobs Conference on February 22-24. Sponsored by The United Steelworkers, the Sierra Club, ALCOA and the BlueGreen Alliance and 36 other unions, the Conference sought to spread the message – Good Jobs - Green Jobs - Same thing. How do we counteract the 1 % that controls the corporate decisions made in this country? By forming a coalition of Labor plus Partners who, together, would be 50 million strong. Watch Congressman Lewis’ full speech here"
Today’s National Academy of Sciences report, Review of the EPA’s Economic Analysis of Final Water Quality Standards for Nutrients for Lakes and Flowing Waters in Florida, in a subtle way, chastised the Florida Department of Environmental Protection for allowing confusion regarding the difference between the incremental implementation costs that might be incurred with the EPA numeric nutrient criteria and the total long-term costs of restoring all of Florida’s impaired surface waterbodies. The report says that EPA’s focus on the incremental costs was the most appropriate approach to take and that the exaggerated cost claims made by opponents of the EPA pollution limits were unreasonable and “clearly a reflection of attempts to estimate the total cost, not the incremental cost.” The report summarily rejects the assumption, upon which those over-bloated claims were made, that the most costly methods of water treatment (reverse osmosis) would be mandated under the EPA Rule. The report suggested that FDEP should have clarified the incremental cost versus total cost issue for decision-makers when the EPA Rule cost analysis was first released. The misinterpretation that followed could have been prevented by FDEP. 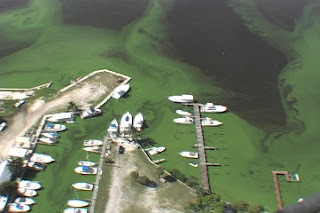 Frank Jackalone, Sierra Club Senior Regional Manager said: “This report blows those exaggerated claims out of the water – the slime covered water – and makes it clear that the Florida Department of Environmental Protection’s move to make its own weaker limits is based on falsehoods. Floridians, and the many visitors that bless our shores with their business, have been tossed aside by the Florida Department of Environmental Protection as it has rushed to cater to polluter interests. 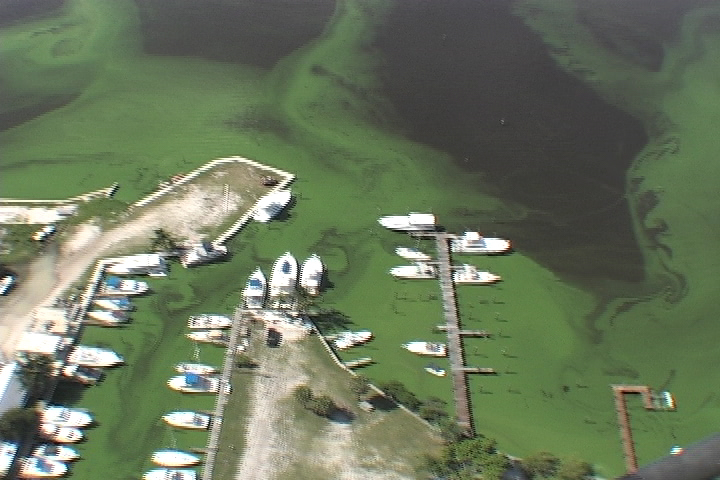 It is time for the U.S. Environmental Protection Agency to come to the rescue of our sick waters”. Sierra Club Florida Alert - Everglades vs. Sprawl! Urgent action needed, and time is short! Please Email and Call your Senator early Monday morning and urge them to OPPOSE the bad amendments to HB 4003 - Growth Policy that will be heard on the Senate Floor Monday. Sen. Bogdanoff’s amendment 832626 would prohibit requiring a supermajority to adopt an amendment to a comprehensive plan. In Miami-Dade County, that supermajority vote is all that stands against new suburban development on the eastern border of Everglades National Park. Developers are relentless in wanting to turn that area into more suburban sprawl – and our already stressed National Park needs all the protection it can get. Building roads, houses, and shopping malls will not protect our wetlands. 8  amendments to the comprehensive plan. Sen. Dean has also filed amendment 799666 to give owners of agricultural land with development on its perimeter a legal presumption in favor of obtaining a comprehensive plan amendment that upgrades their land from agricultural to residential, commercial, or industrial use. The Department of Community Affairs used to keep an eye on this kind of bad growth policy. But they were eliminated by Governor Scott and the Florida legislature last year. HB 4003 is coming up for a vote this Monday at 10 a.m. ! Please email and call your Senator to ask them to OPPOSE amendments 832626 and 799666 to HB 4003 (Growth Policy). Please send emails to Senators in two groups to reduce the number that get bounced back. And please remember to Call! Gas prices are rising and so is pain at the pump. But as Congress took a week off from Washington, it seems that Republicans are thrilled with rising gas prices – touting them as a political winner, even as high prices drain dollars from their constituents’ pocketbooks. We’ve already heard from Republicans clamoring to grant Big Oil’s wish list – drilling in the Arctic National Wildlife Refuge and off our coasts – all things that won’t affect the price at the pump, while endangering our national treasures. However, President Obama has put in place clean vehicle standards that promise to double the average fuel economy of new vehicles between now and 2025. These are standards that promise to deliver real relief for consumers at the pump and to significantly decrease our dependence on oil. Just before the President spoke last week, Rep. Allen West from Floridacomplained bitterly about how much it costs him to fill the tank of his ultimate gas guzzler – an HR 3 Hummer. In city driving, his gas hog will get perhaps 13 miles to the gallon. So, we thought we’d offer some useful tips to Rep. West and the offer some tips that all of us can use. We suggest that Representative West could use Tri-Rail to go between his two district offices in Ft. Lauderdale and West Palm Beach for only $5.65, avoiding a 36 mile drive on I-95 that would use well over two gallons of gas if his Hummer gets 16.5 mpg. Stuck in traffic the H3 might guzzle its way through $21.20 of gas. A Google search shows the West Palm Beach Tri-Rail station is 2.4 miles from his office. For such a short hop, we suggest looking for a bus that runs from the Intermodal Transit Center to his office, but we suppose catching a cab could be an option. The Ft. Lauderdale Cypress Creek Tri-Rail station is even more convenient, as it’s only 0.4 miles from his office, a nice eight minute walk. One of the benefits of leaving the Hummer at home is getting some exercise along the way. If a trip to Miami is in the plans, the train will take you there. We estimate that the trip will take a little over an hour vs. the best case time of 36 minutes in the Hummer on I-95 (but much longer during morning and afternoon rush hours). But, aside from getting some exercise along with the commute, a ride on TriRail offers a chance to read and perhaps more important, time to speak with constituents who are using the TriRail system to beat the high price of gas that so vexes the Congressman who might otherwise be stuck in traffic in the H3. The fact is that 50% of Americans have access to transit as an option for avoiding pain at the pump. Rep. West is luckier than most Floridians, who don’t currently enjoy the option of light rail that has long served the people of Florida’s 22nd District. 1. Leave your car at home – take transit if you can. 2. Bike to work or to the store. We have some handy resources for first time bikers. 3. In the market for a new car? Buy a hybrid or the most fuel efficient vehicle that meets your needs. 4. Check your tire pressure frequently and keep your tires fully inflated. Full tires can improve your fuel economy up to 10%. 6. Ask your boss if you can telecommute one or two days per week. Check out our web page for more ways to avoid pain at the pump (scroll down on the page). Share with us your best strategy for keeping for avoiding the pump as gas prices rise! You don’t have experience pain at the pump alone – join our Transportation Activist network and find out how you can get involved in your local area to increase transportation choices.